Applications for planning permission or listed building or conservation area consents are not always successful and sometimes the only way to pursue the application is to appeal against the Council’s decision. TRIGPOINT Conservation & Planning has considerable experience in dealing with all types of appeals in respect of planning and heritage matters and is able to advise on the best appeal procedure, be that by written representation, informal hearing or Public Inquiry. TRIGPOINT Conservation & Planning will then construct the appellant’s case based on a thorough appraisal of the planning authority's reasons for refusal, the identification of the key issues and a sound knowledge of planning legislation. Having refused planning permission for 18 dwellings in the grounds of Evington Hall, a Grade II listed building, TRIGPOINT Conservation & Planning was commissioned by Leicester City Council to prepare its case for the public inquiry in respect of the potential impact of the development on the setting of the listed building. After a detailed assessment of the proposals TRIGPOINT Conservation & Planning was confident that there were sufficient grounds to support the Council’s case; the appellants had not provided the required assessment of the potential impact of the proposed development on the listed building’s setting and the development of houses on the land alongside the building was likely to have an adverse impact on its setting. In what is quite a complex appeal decision the Inspector allowed the appeal. However in dealing with the heritage issues he fully agreed with the advice given to the Council by TRIGPOINT Conservation & Planning; he made the point that the appellant had not submitted sufficient information to assess the impact of the development on the listed building’s setting, and, sharing our concerns that dwellings to the side and rear of the Hall would harm its open setting, he attached a condition preventing any development in these areas. Although the Inspector did not support the Council’s case, TRIGPOINT Conservation & Planning is able to take some satisfaction from the fact that our concerns were fully accepted by the Inspector, underlining the sound professional advice given by TRIGPOINT Conservation & Planning to its client. Kettering Borough Council opposed the extension of a group of former farm buildings, now converted to a dwelling and also used for business purposes, within the Rushton conservation area. The Council argued that the proposed extensions were out of keeping with the existing form and design of the former agricultural buildings and that this would adversely alter their character and harm the conservation area. On these two issues, the case prepared by TRIGPOINT Conservation & Planning was able to demonstrate, by a thorough research of the history of the site and an analysis of the buildings’ present form, that the proposed extensions were very much in keeping with the existing buildings that had been developed from the original farm buildings. In addition by using photographic views, we were also able to demonstrate that the proposals would have no adverse impact on the prevailing character or appearance of the Rushton conservation area. The Inspector allowed the appeal noting that in his view the proposed development would not have a material effect on the existing group of buildings and that it would preserve the character or appearance of the Rushton conservation area. As a result our client can now extend her property and secure the long-term future of her business by offering a much improved range of facilities to her clients. Charnwood Borough Council opposed the conversion of a redundant farm building alongside Manor Farmhouse to a new dwelling, citing that the village was not a sustainable location for any new development and that the proposed conversion would also harm the Seagrave conservation area. 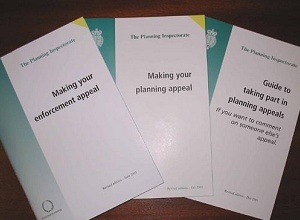 On these two issues, the case prepared by TRIGPOINT Conservation & Planning argued that the range of local services, as well as those accessible by public transport, meant the village was not an unsustainable location for new development and that the Council’s reliance on its emerging Core Strategy was fundamentally flawed and the proposed development should therefore be assessed on the basis of the existing local plan policies. Our analysis of the building also showed that whilst it was of only limited architectural merit, it did have an important link with the village’s agricultural heritage and consequently it was of local historic interest and made a positive contribution to the character of the conservation area. It was our view therefore that it was important to retain the building and find an appropriate new use for it. The appeal was allowed. The Inspector noted that the creation of one additional dwelling in the village close to some of the village services and re-using previously developed land was a sustainable form of development and that conversion of the barn to a dwelling would retain the integrity of an important group of buildings, enhancing the character and appearance of the conservation area. As a result our client can now redevelop his former agricultural building to provide a new home. 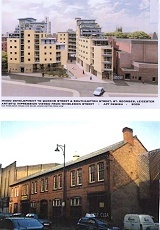 Leicester City Council opposed the demolition of an unlisted building in a conservation area and for the erection of a seven storey development for 87 apartments with ground floor bars and restaurants in its place. TRIGPOINT Conservation & Planning presented the case, seeking to demonstrate that the proposed development would not affect the setting of the neighbouring listed buildings. The Inspector accepted that the proposal would not appear out of keeping nor would it be harmful to the setting of the listed buildings in the vicinity of the site. However, following a late objection by English Heritage, the Inspector was not prepared to accept the demolition of the building without further justification. 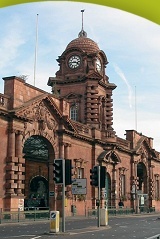 Leicester City subsequently granted Conservation Area Consent on the presentation of evidence that clearly demonstrated that the building was in such poor condition that it was not economically viable to repair and re-use. North West Leicestershire District Council opposed the erection of a single storey side extension and a two storey rear extension to this modest cottage within a sensitive conservation area location. TRIGPOINT Conservation & Planning was able to demonstrate to the Inspector’s satisfaction that the new extensions would respect the scale of the existing cottage and have no detrimental effect on the open and rural character or appearance of the conservation area. TRIGPOINT Conservation & Planning were instructed to prepare a planning application for the erection of four dwellings on the edge of Rearsby in Leicestershire. Although TRIGPOINT’s supporting planning statement was able to demonstrate that there was a shortfall in the local housing supply and that the proposed development was in a sustainable village, the local planning authority refused planning permission. This decision was challenged on appeal and the Planning Inspector agreed with TRIGPOINT’s assessment of the site and allowed the appeal, concluding that the development of the site would make a valuable contribution to the local housing supply. The robust and tenacious approach adopted by TRIGPOINT Conservation & Planning was able to secure a valuable planning permission.